› What: Gallery showing of work by artist/actress Eve Plumb. › When: Reception 6-8 p.m. Thursday; exhibit through Nov. 4. › Gallery hours: 11 a.m.-5 p.m. Tuesday-Friday, 11 a.m.-4 p.m. Saturday. › Where: Gallery 1401, 1401 Main St.
As an actress, Eve Plumb will forever be associated with one of the most memorable and oft-repeated phrases in television history. Like it or not, she will always be known as Jan Brady, the cute preteen on "The Brady Bunch" who whined "Marcia, Marcia, Marcia" during the "Her Sister's Shadow" episode that aired in 1971. Hollywood is full of actors who have been so typecast by a role that finding work becomes almost impossible. In fact, most of the rest of the show's cast did find it tough, but Plumb, now 57, continues to find acting jobs. Perhaps it helped that she broke somewhat free of her saccharin-sweet image after the series ended in 1974 by starring as a prostitute in "Dawn: Portrait of a Teenage Runaway" in 1976. She's also become of painter who has done gallery showings around the country for the last 15 years. She'll be in Chattanooga on Thursday for an opening reception for a debut show of her work at Gallery 1401. One might think launching a second career that garners such public attention and criticism would be the opposite of what someone in her position might do. "I never thought of it that way," she says in a phone interview. "All I know is I've gotten more confident, and I'm just going to do what I do." Plumb began painting about 25 years as a way to fill the days between acting jobs. Over time, she liked her work well enough to hang a piece or two on the wall for others to see. With encouragement from friends and family, she eventually offered them to galleries. "It was a slow process," she says. Part of the process was not only finding her voice but the right medium. A self-taught artist, she tried acrylics and watercolors before settling on oils, either on canvas or linen. She also tried different subject matters, but she kept coming back to coffee cups and kitchen or restaurant scenes. 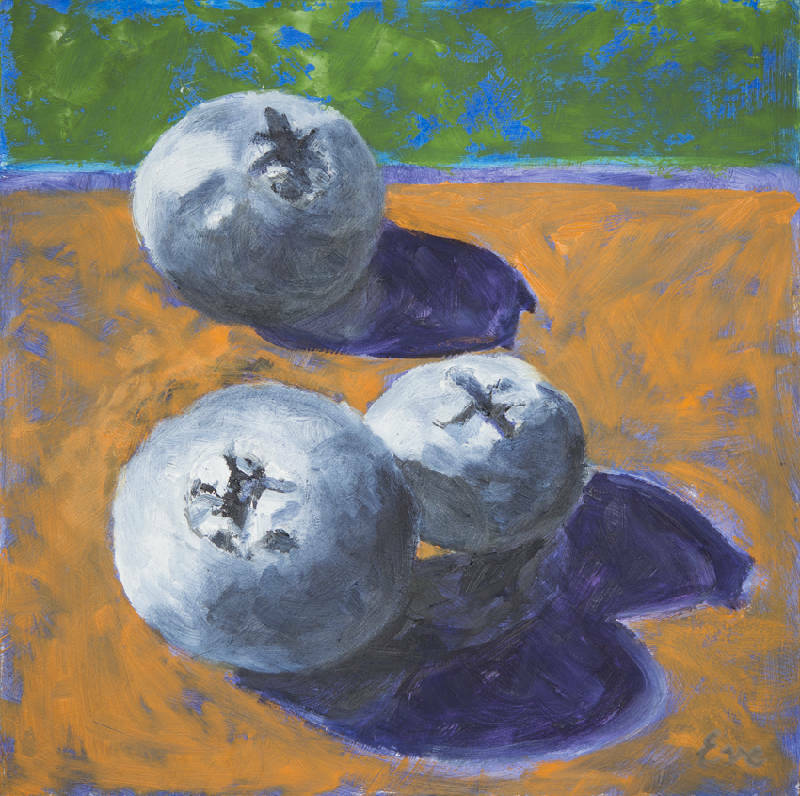 She focuses a lot of her work on how sunlight interacts with the subject matter. "I just like the shapes and colors and the arrangement of objects," she says. "I have tried other things and they've not worked out, so why fight it?" Gallery manager Morgan Turpin says the 25 pieces in the exhibit, which will be on display through Nov. 4, all showcase that interaction between color and light. She also appreciates that Plumb sees art in everyday scenes. "I just like that it's a painting of a kitchen sink," she says. "The things she chooses to paint are unique." Plumb is married to computer analyst Kenneth Pace, who helps her choose the paintings she shows, she says. Some are grouped by theme and some are not. Plumb's acting roles have included film, TV and stage work. Credits include guest spots on everything from "One Day at a Time" to "Murder, She Wrote," from "The Love Boat" to "Fantasy Island." In the '90s, she played the mother on the Judy Blume-based series "Fudge." In 1994, 20 years after playing Jan Brady for the last time, she was still being asked about it on "The Jon Stewart Show." In between asking Plumb if she was tired of guys like him calling her Jan, Stewart joked, "I'm just glad you guys got off the island," an intentionally mistaken reference to "Gilligan's Island." Even in 2010, while doing press for "Miss Abigail's Guide to Dating, Mating & Marriage" on Broadway, she was asked about her "Brady" days in a television interview. Plumb is gracious about such questions, responding at the time, "That was so long ago, I don't remember." Plumb says she enjoyed playing the role, but she is focused on her life today, being a wife, an actress and a painter. She says she doesn't have any grand plans for her painting, just that she'd like to continue to improve. "I'd love to sell more paintings," she says. "I'm a very short-term, goal-oriented person. I focus on what's in front of me. I really like the travel aspect of gallery shows. It's always great to hang out with the gallery owners, and it's nice when people tell you they like your paintings."